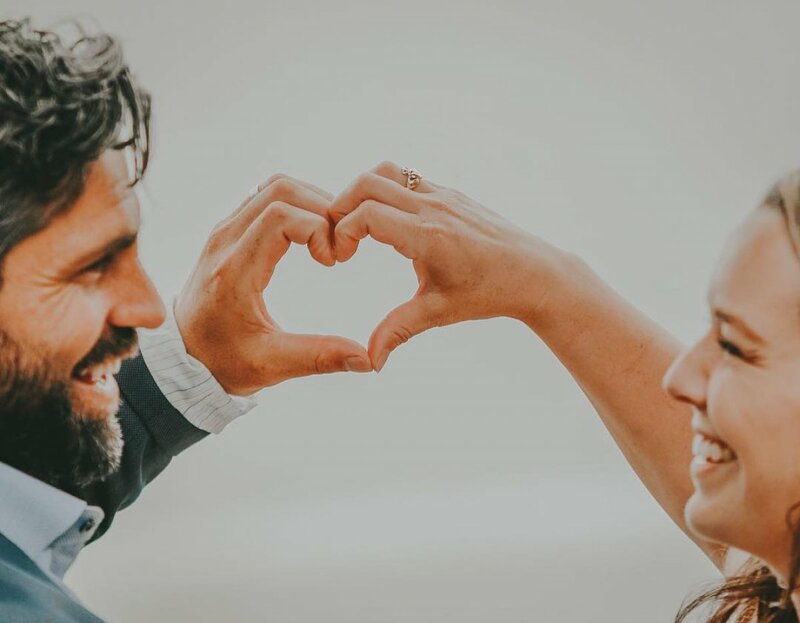 90 Day Fiance star Rachel Bear will be traveling abroad again later this year to see her husband Jon Walters. The couple revealed on their joint Instagram page dubbed "Follow Our Fairytale" on Thursday that Rachel, who currently resides in Albuquerque, New Mexico, will be visiting Jon in England soon to further celebrate their nuptials. "Just 55 days until the honeymoon - in Weston super mare," Rachel and Jon captioned an photo of the pair forming a heart with their hands. Weston-super-Mare is Jon's hometown in England. Rachel and Jon have both expressed how they miss each other terribly, but Rachel's trip may come as a surprise to fans since both individuals have recently complained of money troubles. During the season, Jon admitted he's tens of thousands of dollars in student-loan debt, and Rachel has also vented about how much it's going to cost to obtain Jon's visa that will allow him to move to the United States permanently. The immigration visa costs "an absurd amount of money," Rachel revealed on the Tell All special for 90 Day Fiance: Before the 90 Days that aired this past Sunday, saying its current status is "non-existent." But Jon and Rachel's reunion will conveniently take place in mid-December with the Christmas holiday being right around the corner. December 2018 also marks one year after Rachel first traveled to England to meet the love of her life, who has since become a father to his wife's daughter Lucy despite being 5,000 miles away from them. Rachel and Jon starred on Season 2 of 90 Day Fiance: Before the 90 Days, which premiered on August 5. Viewers witnessed the couple's engaged and marriage on the TLC spinoff. The couple met for the first time in England last year after getting to know each other over the phone and video chat for a year-and-a-half.